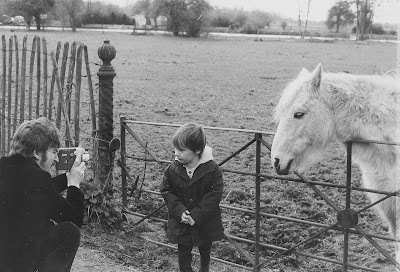 I am not sure when this photo was taken, but it had to have been January/February 1967 because John has his home movie camera and looks like he did in the Penny Lane promo. 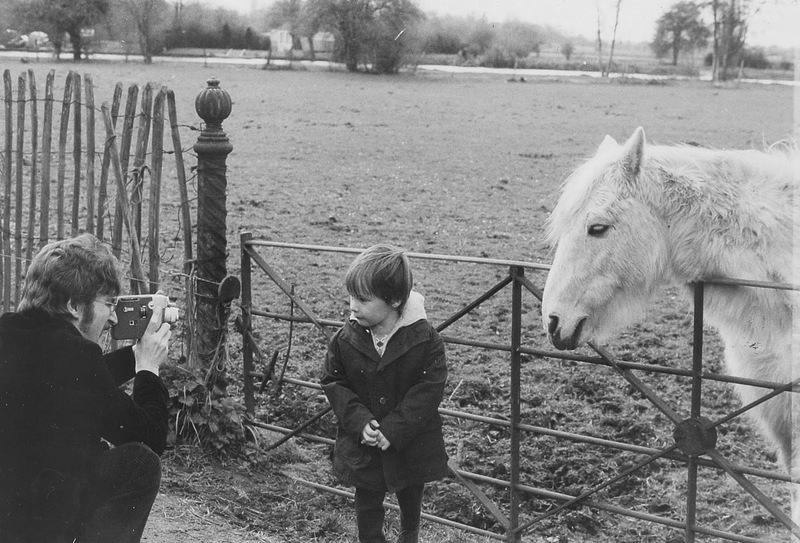 I like photos like this that show John being a Dad to Julian. There he is shooting home movie footage of his son and an animal (what is that thing?). You don't get too much more "dad-like" than that. Whenever people say that John didn't love Julian (which is a terrible, heartless thing to say), I show them photos like this one that show that John did spend time with his first son, but admittedly not as much time as he should. Hi Sara, that "thing" is a Surrey Alpaca. Now, sadly extinct, they were once quite common in the south of England.